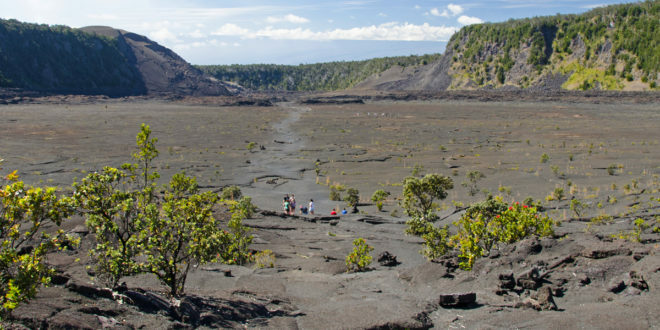 It’s a Great Time To Visit Hawai‘i Volcanoes National Park and Celebrate its Centennial in 2016. Hawai‘i Volcanoes National Park celebrates its centennial anniversary in 2016. Established on August 1, 1916, it is the 15th National Park in a system that now numbers 412 parks. The mission of Hawai‘i Volcanoes National Park is to protect, conserve, and study the volcanic landscapes and associated natural and cultural resources and processes, and to facilitate safe public access to active volcanism, diverse geographic settings, and wilderness for public education and enjoyment. Thomas A. Jaggar Museum is located along Crater Rim Drive, 3 miles from the Kīlauea Visitor Center. Hawai‘i Volcanoes extends from sea level to 13,677’ (4,169 meters) and encompasses the summits and rift zones of two of the world’s most active volcanoes, Kīlauea and Mauna Loa. Kīlauea has been in nearly continuous eruption since 1983; Mauna Loa last erupted in 1984. Peridot crystals in the lava. Volcanic features found within the park include calderas, pit craters, cinder cones, spatter ramparts, fumaroles, solfataras, pāhoehoe and ‘a‘ā lava flows, tree molds, lava tubes, black sand beaches, and thermal areas. The cultural heritage begins with indigenous Hawaiians. Their connection to the land, both past and present, is found from the coastal cliffs to the summit craters of both volcanoes. The rich archeological record connects today’s Hawaiians to their voyaging ancestors who made landfall on this island. The park’s 7 ecological zones, (seacoast, lowland, mid-elevation woodland, rain forest, upland forest, subalpine, and alpine), harbor unique native plant and animal communities. The park provides refuge for 59 endangered species which include honu ‘ea (hawksbill turtle), nēnē (Hawaiian goose), ‘ua‘u (Hawaiian petrel), ‘io (Hawaiian hawk) and ope‘ape‘a (Hawaiian hoary bat). Hawai‘i Volcanoes National Park is open 24 hours a day year-round, including ALL holidays. Hawai‘i Volcanoes National Park – Private Vehicle – $20.00 Admits one private non-commercial vehicle (capacity 15 or less) and all of its passengers. Valid for 7 days. Organized non-profit groups, (service organizations, scouts, church groups, college/school clubs) are not eligible. 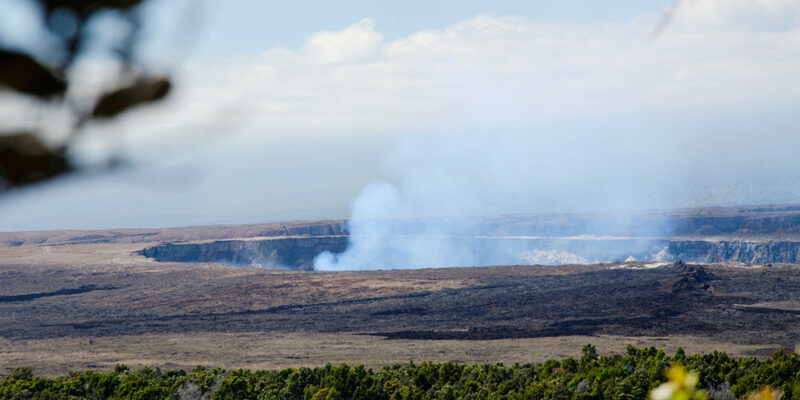 Kīlauea Visitor Center Rangers and volunteers are on duty in the visitor center daily and will provide visitors with the latest information on the current eruption, hiking information, things to do and the daily schedule of ranger-led activities.